Instead of buying a box of chocolates, why not impress friends and family with delicious homemade Nutella truffles? This recipe was first published in Flavours magazine. Place the chocolate and the margarine in a mixing bowl. Heat the cream to boiling stage. Pour over the chocolate and stir with a spatula until mixture is well-incorporated. Stir in Nutella in two batches and transfer the ganache into a piping bag. Cover a plate or a tray with cling film. Pipe a long cylinder of ganache (about 2cm in diameter) and chill 1 hour in the refrigerator. Cut into 4cm pieces and roll in cocoa powder. 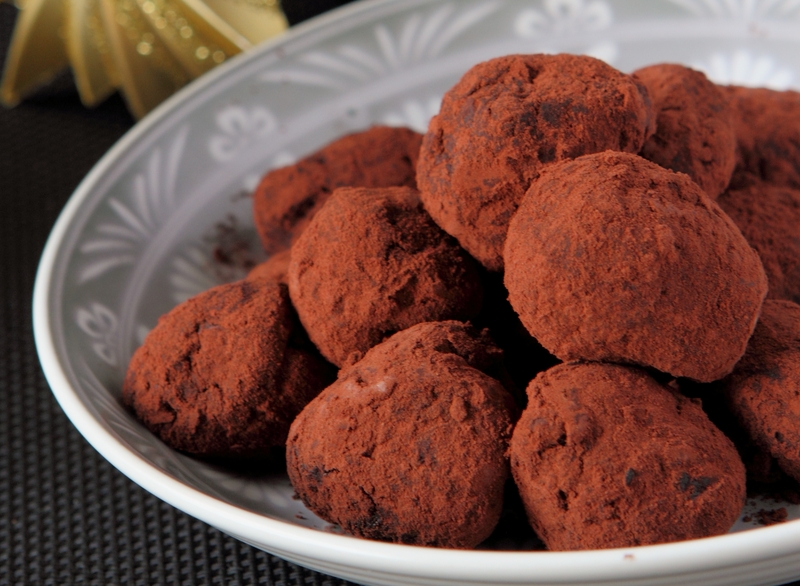 The truffles can be kept for 4 to 6 days, refrigerated, in an air-tight container.